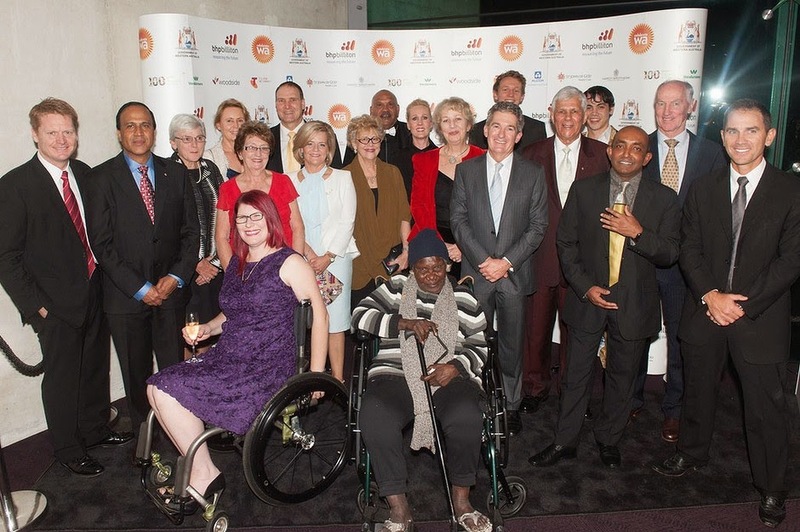 On Friday night, I attended the gala presentation of the West Australian of the Year. Don’t get me wrong – I was delighted to be chosen as a finalist. It showed that we people on the ground who experience disadvantage are able to be recognised for our work in the same way as others who have been brought up with power and prestige and wealth. The winner in my category, Nicola Forrest, is a deserving recipient - she has started up many programs and given away half of her wealth to charity alongside her husband Andrew Forrest, our nation’s ninth richest person. Andrew and Nicola have contributed enormously to the lives of the disadvantaged in our state. But to me, the gap seemed immense. I did not grow up in poverty, but the trappings of the event seemed faintly obscene. At $250 a head, my table was not filled with friends and family – many Divas gathered down the road to meet me afterwards at a (cheaper) venue and two of my six children were in attendance. Shadow Minister Stephen Dawson sponsored a seat for me to bring a friend or advocate of my choice. The escalators took the finalists and guests up to a plush carpet trail lined with candles – but my daughters and I caught the (terribly sign posted) service lift to the third floor, which brought us up to a bored looking photographer who looked at us disinterestedly and asked if we would like our photograph taken for the Sunday paper. The ‘carpet walk’ was accessible, but not easily available. And my ‘special moment’ of the night was when Lena Nyadbi, the winner of her category, got up from her wheelchair and walked with help up stairs onto the stage, prompting a blustering comment from the MC about how they wanted to ‘conceal the ramp because you could tell who had won and then Lena walked up the stairs anyway!’ Not a shining moment for universal design and inclusion. Still, the event went well, the winners were without a doubt deserving recipients and the crowd were all lovely people. The event was fun and well organised. We ate, drank, laughed and were grateful to be included amongst a group of people who are shining stars in our state. I must be a particularly perverse individual. I sat in my four hundred dollar dress, sipping champagne, feeling vaguely tinged with self-disgust. This world would be so easy to slip into, a world where disadvantage is a world away, where the problems of the rest of the nation aren’t really our own, are they? Bottoms up, more champagne. Smile, and the whole world smiles with you. 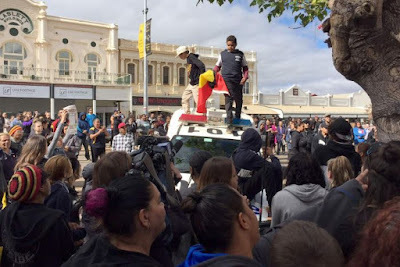 When Premier Colin Barnett announced (to thunderous applause) that the section inside the Horseshoe Bridge would be renamed ‘Yagan Square’, I wondered cynically whether homeless Aboriginal people would be able to sleep within it. When I looked at the glittering dresses and the well-tailored suits, I wondered how much they cost. I remembered the smell of an op shop, which so many West Australian families are well acquainted with - invariably, over half of my Scout Troop owns only one pair of shoes. 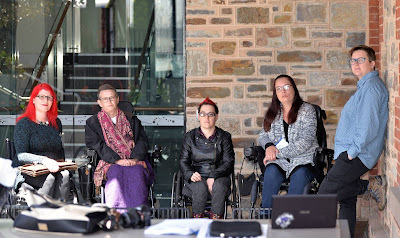 And when Aboriginal performer Dr Richard Walley OAM stood with a cast of talented Aboriginal performers, all I could think about was the cost of the sea of screens and the impressive audio visual effects and what an impact they would have had on the lives of so many people living with disability and disadvantage in our state. When I looked at the faces of the young Aboriginal dancers, I could see only the faces of the six school age children who have been living rough in a tent on the side of a major metropolitan highway. We should celebrate those who have contributed to our state and nation, without a doubt. But I also wonder how we can do more to profile the lives and achievements of the communities who live far on the other side of the divide. Thoughtful, and thought provoking as always . Typical of someone who already has all the riches and blessings in life getting accalades for what they should be doing anyway. Im more interested in the people in the room who were like the old widow of testament times who did not put in as much but put in all they had to live on! Yet another award for the rich who are doing with their masses of funds what they should be doing anyway!! Its not hard to fund programs and do all that work if your rich but what about those who have achieved a huge amount from having nothing!!! Yeah and ur right it woulda been nice to see a few of those young kids at the dinner who are forced to sleep in a tent.